The distortion of reality begins with the distortion of the words used to describe it. That is why, whenever one notices that a word one thinks of positively experiences an upsurge in popularity, one should remain cautious. It is certainly possible that such an occurrence indicates a genuine increase in the appreciation for and understanding of the ideas that the word in question signifies. But it is equally possible that it indicates an attempt on the part of some relatively popular interest group to dress its members’ own ideas in what they take to be an attractive and fresh-looking costume. This, in turn, allows the groups openly hostile to what the original term stands for to launch their polemics against straw-men and caricatures, which allows them to wage the battle of ideas more effectively without displaying any genuine logical superiority over their intellectual opponents. Hence the necessity to keep the terms that constitute any well-established and well-developed intellectual tradition faithful to their original meanings if any sensible and fruitful discussion of them is to remain possible. 1. Utilitarian or Coasian “libertarianism.” According to this theory, the primary function of property rights is to reduce transaction costs – that is, the costs associated with finding the person with whom we wish to transact, coming to a mutual agreement with her, drawing up a requisite contract, enforcing its terms, etc. And while it is praxeologically true that the recognition of property rights is absolutely indispensable for overcoming some of the fundamental so-defined transaction costs (e.g., the costs stemming from otherwise irresolvable ownership conflicts, the costs associated with the inability to perform economic calculations and thus rationally allocate resources, the costs relating to the absence of the signaling function of prices, etc. ), it is not necessarily the case that any given pattern of originally appropriated and contractually acquired property titles is bound to minimize the total amount of more detailed, circumstance-specific transaction costs. Imagine, for instance, that someone owns a parcel of land that constitutes a pass through an otherwise nearly impassable mountain range separating two merchant colonies. It would be highly beneficial for the inhabitants of both of these colonies if a road could be made through this pass, but the original owner refuses to sell his land to any of the road-building companies since it has been in the possession of his family for centuries and it has a sentimental value to him. Obviously enough, making detours around the mountain range is bound to generate significant transaction costs (measured in terms of market revenue, not in terms of psychological utility) as compared to the counterfactual scenario in which the road is built through the pass. In such cases, the recommendation of utilitarian “libertarianism” is to expropriate the recalcitrant owner and then offer him an “adequate” monetary compensation, corresponding to the anticipated market value of the road. But there is clearly nothing even remotely libertarian about such a recommendation – it involves an exercise of coercive force against the life and property of an independent, self-owning individual. It conceives of individual liberty as subordinate to collective money-making efficiency. Thus, even putting aside all the value-free, economic objections to the feasibility of making interpersonal comparisons of utility, the belief in which underlies the approach in question, it fails the essential moral test of paying unconditional respect to private property rights in one’s own body, labor and the fruits thereof. 2. Minarchist or militarist “libertarianism.” These are in fact two conceptually separable positions, but there are good theoretical and empirical grounds for claiming that acknowledging the legitimacy and desirability of the former invariably leads to the deadly excesses of the latter. 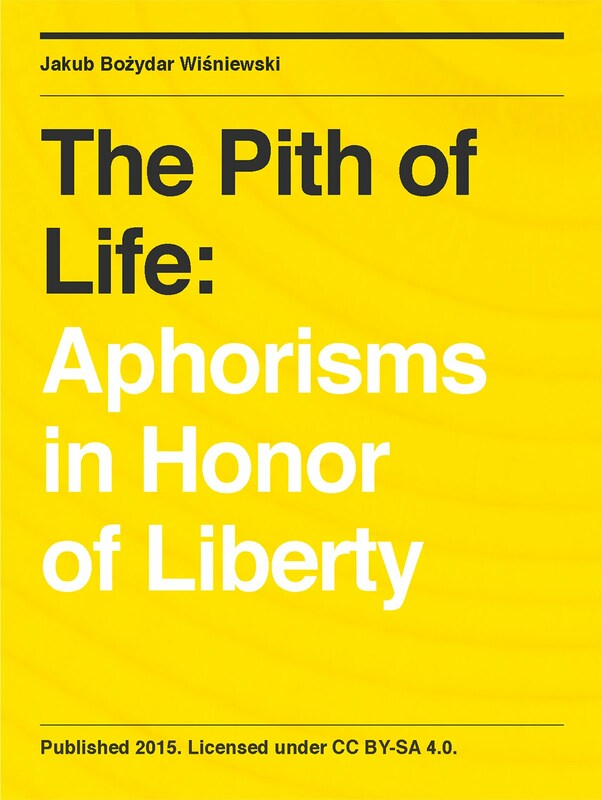 I think it is fair to characterize the adherents of the approach under consideration as subscribing to the following catchphrase: We hold liberty to be the supreme value, but we realize that in order to secure the maximum feasible amount of liberty, some of it has to be sacrificed to the necessary evil of the monopolistic apparatus of coercion. In other words, unless one consents to the abrogation of some of his private property rights, one will not be able to enjoy any private property rights at all. The literature countering this claim on economic grounds is vast (see, e.g., here), so it would take too much time to even summarize it here. Instead, let me ask in this context just a couple of short, critical questions of mainly moral and psychological nature. Is it reasonable to assume that statist coercion is necessary to enforce contracts, but the alleged “social contract” that is supposed to establish the state needs no meta-state to enforce it, thus effectively becoming a self-enforcing anomaly? 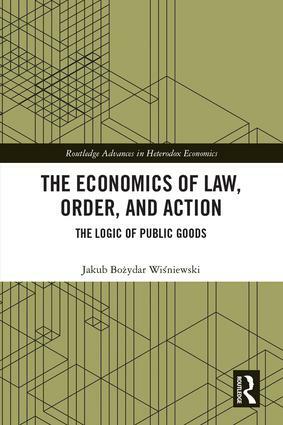 Is it prudent to expect that ceding the task of maintaining justice onto an entity that is both monopolistic and coercive will not lead to it continually perverting justice in its favor? Is it sensible to claim that an institution that forcibly imposes its protective services on others, unilaterally determines their price and excludes all competition in this area will not attempt to benefit from initiating conflicts or letting them develop rather them resolving them or preventing their occurrence? If one is ready to answer these questions in the negative, and it seems to me that there exist very good reasons for doing so, then one should not be puzzled by the suggested slippery slope from minarchism to militarism. And one should not be surprised by the contention that neither holds much promise for preserving individual liberty. 3. Anything goes “libertarianism.” This approach suggests that any social, political or economic change that lightens the burden of statism in even the most infinitesimal way should be considered libertarian and those who bring it about should be regarded as libertarian-minded. In other words, if a political party reduces the income tax by one percentage point or repeals one out of a hundred thousand regulations, its members should be thought of as fundamentally decent people and sincere supporters of personal freedom. Such an attitude, of course, trivializes libertarianism and induces its putative followers to rest on their laurels much too easily. If a communist system is replaced with a social democratic one, this is surely a welcome change, but it seems a grave abuse of language to call it libertarian. If a band of local highwaymen decides to lower the tribute it regularly extorts from the other inhabitants of a given area, should it be praised as a group of committed individualists and voluntarists? What use can there be in such semantic equilibristics other than to shift the spectrum of intellectual discourse in the direction opposite from that pointed to by the original and properly radical version of the discussed theory? It does not help a good cause to try to subsume every acceptable development under a program aimed at advancing it. The more inclusive a given position gets, the more it runs the danger of becoming meaningless. In order to avoid that danger, let us bear in mind the crucial difference between the changes that, relatively speaking, move us towards the libertarian vision and the changes that are also consistent with its principles. 4. Countercultural “libertarianism.” This particular doctrine puts paramount emphasis on the necessity of liberating social customs from the shackles of violent paternalism and coercive moralizing. And while this is certainly an effort worthy of support, since the acceptance or rejection of any given set of social customs should be entirely voluntary (here I am obviously, though implicitly, treating the non-aggression principle as something much more than even the most respectable custom or convention), it has to be borne in mind that liberty in matters social and customary is a natural and inevitable consequence of liberty in matters moral and economic, but not necessarily the other way around. Hence, the priorities of countercultural “libertarianism” turn out to be badly misplaced – its adherents strive to secure a single beneficial result, whilst overlooking the need to trigger (or even openly spurning) the only cause capable of bringing it about (together with many other essential human values). That is why it should not be surprising that the original countercultural “libertarianism” of the 1960s was hardly a movement for private property rights and unhampered freedom of economic activity. If any modern form of counterculture is to become a better ally of genuine individualism and voluntarism, it has to reassess its priorities on a fundamental level and put property rights at the very center of its positive program for change. 5. 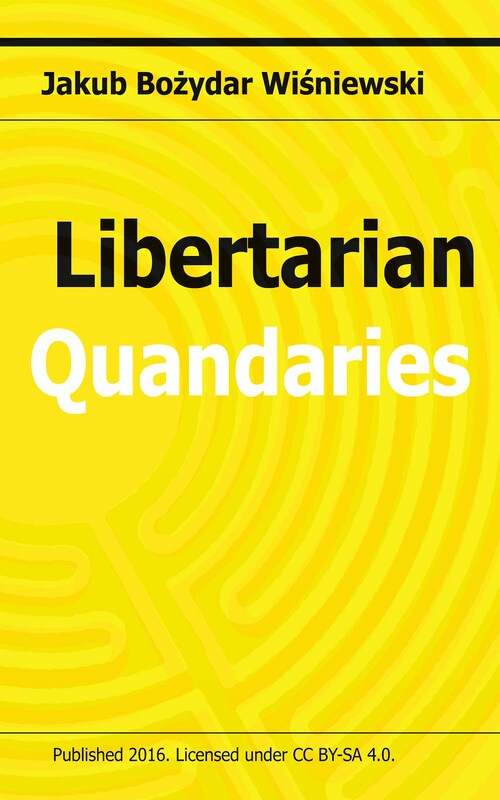 Anti-hierarchical “libertarianism.” As the name suggests, the cornerstone of this position is the rejection of hierarchies, in this context meaning arrangements of people in which they are represented as being “above,” “below,” or “at the same level as” one another according to some specified criterion. Again, this appears to be a reasonable attitude to take insofar as any such criterion is forcibly imposed on a given person, which results in her coercive subordination to the relevant hierarchy. Modern democratic statism, for instance, violently subordinates hundreds of millions of people to the hierarchy of political influence and the accompanying ability to amass and utilize large-scale aggressive force. In sum, anti-hierarchism is perfectly justifiable on libertarian grounds to the extent that it is aimed against coercive hierarchies. However, the doctrine under consideration, especially in its so-called “left-anarchist” incarnation, is aimed against all sorts of hierarchies, including the voluntary ones (existing in, e.g., firms, clubs, churches, scholarly associations, etc. ), thus effectively contravening the basic libertarian principle of unhampered freedom of association. Insofar as left-anarchism regards a hierarchy stretching from the owner of a non-state-subsidized company to its lowest paid employee as inherently oppressive and hence suitable for forcible liquidation, its followers are indistinguishable from ordinary statists, whose final argument is always the use of their truncheon. In conclusion, it is very difficult to conceive of these outright opponents of private property rights and natural inequalities as reliable advocates for liberty. As was perceptively noted by Murray Rothbard, human rights are property rights – either to one’s body, one’s mind, one’s labor, or the fruits thereof. Thus, libertarianism can convincingly lay claim to being the only position that genuinely champions human rights. The same does not apply, however, to all the doctrines that try to capitalize on libertarianism’s good name while leaving out its most important element – an unflinching and unconditional endorsement of private property rights. Let us never forget that fact whilst seeing the word libertarianism passed around more and more generously.